Would you rather be a farmer? Seriously, let's compare development with growth. 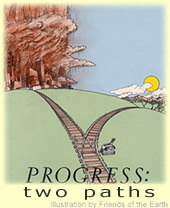 are not really progress at all, just terrible things."